A: Christmas is Over. Now what? After Jesus comes FOLLOW His law. Will you diligently wait for Him? Will you live a life of faith and devotion as you wait for Him? You know you CAN behave – WILL YOU? Will you be faithful to His Word and His Church as you wait on Him? Will you worship Him as you wait for Him? Most of the world seems to get excited at Christmas time as we prepare and celebrate the Birth of Jesus Christ! Then the lights come down, the tree goes out and the wrapping paper gets thrown away. Now what? Most of the earth walk away from Jesus – WILL YOU? Or do we find ourselves lacking? Every spare inch of town was full! I remember there was even a pregnant lady sleeping in a barn! This precious young lady, girl really, even gave birth amidst all the racket, livestock and nasty smells of that barn. Her husband dutifully by her side trying to help but we all know how helpful men can be at times like these. I think the whole city knew when the baby was born! The animals seemed to shout! The city seemed to become brighter! We all knew that something had happened.,,,we were just not real sure what! Then Shepherds came in from their fields – THEY LEFT THEIR SHEEP! 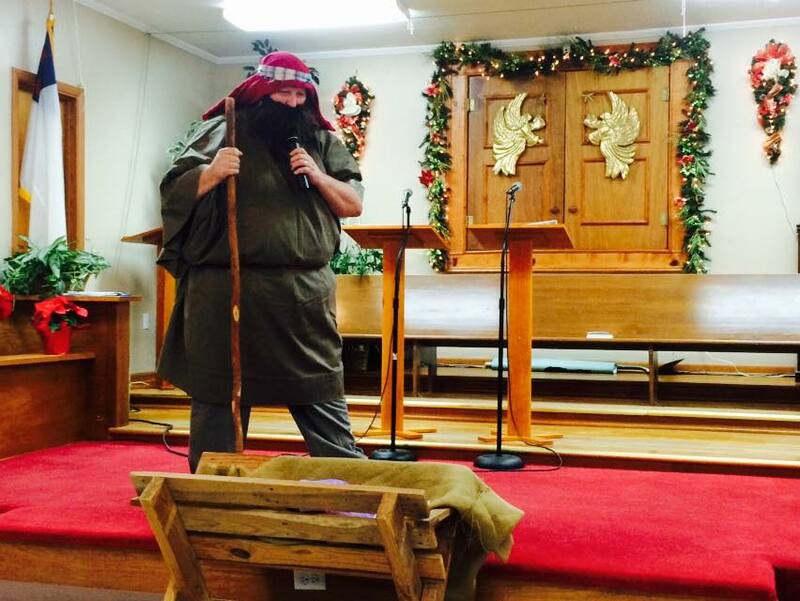 and began to tell a story of bright lights, Angels in the skies and The Messiah …….. in a barn feeding trough….? They went up to the feeding trough and bowed down to worship this little, tiny baby – and through tear filled eyes shared their story. There were many gasps and cheers – much excitement that night. Many handshakes and hugs and hardy pats on the back for the husband…. But certainly not silence….EXCEPT FOR ONE…The Mother – MARY was silent. But this night, she was the silent one. Do you know? Do you know that Jesus is still here for all people? Rich and poor? Red, Yellow, Black, Brown, Olive and White? Clean and dirty? Sick and healthy? Jesus has come – For YOU? !